Let’s start with some numbers: according to a 2013 study by Business for Social Responsibility, at least 84% of restaurant-generated food and drink waste in the USA gets sent to landfills (a measly 1.4% was donated). That is 15.7% of the American food industry’s organic waste. In the UK, WRAP estimates that 22% of the state’s food waste is generated by restaurants, 34% of which is from customer plates. 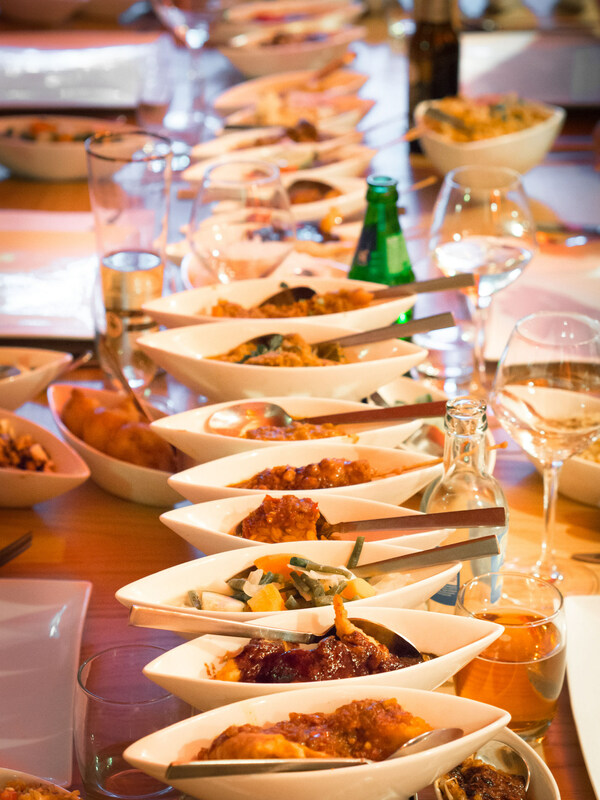 As for China, annual restaurant food waste is equivalent to 10% of national crop production. Restaurant hygiene regulations state that once food has been served, it can’t be reused. In restaurants that automatically provide diners with free bread (or chips or whatever else), that means the leftovers have to be thrown away. 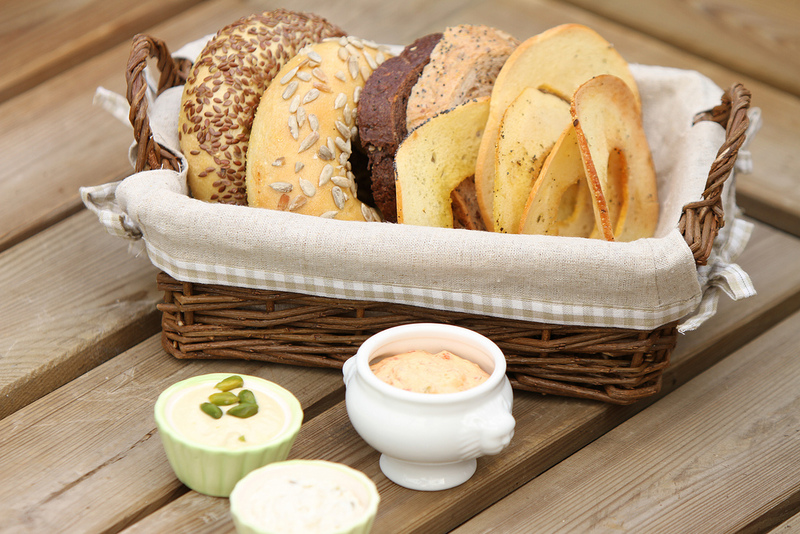 Waiters should ask diners whether they would like bread rather than immediately placing the basket on the table. This question forces the patrons to think, “Do I really want bread? Am I going to eat it all?” Even if the diners opt for the free food, they might specify, “Yes, but only a few slices.” Ideally, not only will there be no wasted bread, but the patrons who save room by skipping bread will be more likely to finish their main course. Moreover, having to ask for bread will discourage overeating. Many people eat free restaurant bread just because it’s there, but the request acts as a ‘hurdle’ that the diner would have to cross to get that temptation. In a world of more than 1.9 billion overweight adults and 42 million overweight children (source: WHO), every effort to combat unhealthy eating habits is crucial. While most drink refills cost money, many restaurants in the US provide free water*. Some even go so far as to have servers circulate with pitchers and refill patrons’ glasses at no request. I always try to stop servers from refilling my almost-empty glass, and on one occasion, the server worriedly asked me, “Are you sure? I’m supposed to…” The employee seemed scared that he would get in trouble if the manager saw that my glass wasn’t filled to the brim. Instead, diners should be offered a refill so that they have a clear chance to say no. Many people are embarrassed to be judged as picky eaters, so they don’t specify their orders. That means that a diner might ask for a Greek salad and leave a pile of sun-dried tomatoes on the plate when (s)he could have easily said, “A Greek salad, but without the sun-dried tomatoes, please.” By inviting the patron to make specifications, however, a waiter offers a judgment-free zone. The diner feels like modifications to the menu are expected rather than inconvenient, and ultimately there is no sad pile of unwanted food scraps on the plate. If a restaurant were to adopt only one of my suggestions, this one would be the best. ‘Doggy-bagging’ food is a service that not all diners are aware of or that, again, they might feel embarrassed for requesting. Fact is, even the leftover bread mentioned in the first tip can be wrapped up! Sadly, there is no guarantee that the food will get eaten once it’s taken home, since humans can be quite forgetful; but at least it’s a start. The implied encouragement to take food home might offend some people as being ‘judgmental,’ but, frankly, I think that anyone who consciously decides to waste food deserves to be judged. As this list demonstrates, one of the keys to combatting food waste is acknowledgment and communication of preferences. Servers just assume that patrons want free bread or refills because they haven’t been told otherwise. Restaurants thus perpetuate a culture of wastefulness that relies on the abundance of cheap food and water to please customers rather than just asking them what they really want. Diners have a responsibility as well, though, to consciously make efforts to prevent waste. They- we need to recognize food as valuable, not disposable – contrary to how the spontaneous gratification at restaurants makes it seem. Food is meant to be eaten, not left on a plate and then thrown in the garbage. At Say No to Food Waste, we talk about food and environmental ethics a lot and don’t always take the time to define the phrases we use. Sure, we have some posts entirely devoted to things like “nose to tail eating,” but there are other phrases that we use off-handedly. Moreover, there are lots of words that are seemingly synonymous – like organic and natural – that actually have very specific connotations, and it can be difficult to keep all these terms straight. We’ve compiled this little sustainability vocabulary cheat-sheet to help you learn about and navigate the world of ethical food. Cage-free: If a carton of eggs is labeled ‘cage-free,’ that means that the hens were raised in a hen house rather than in battery cages. 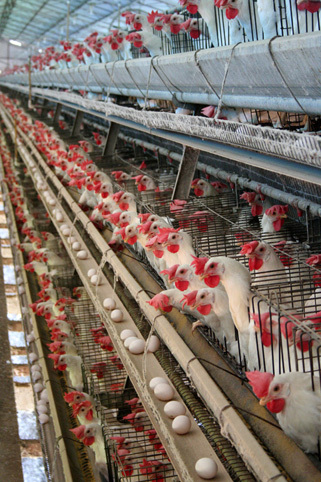 In battery cages, chickens are penned so close together that they can’t even spread their wings. While the cage-free label means that the animals were raised slightly more humanely, it unfortunately doesn’t ensure that they got much space, as hen houses can also be densely packed. Similarly, free-range eggs come from chickens raised in hen houses that also provide access to the outdoors – but that doesn’t guarantee outdoor time for every hen. The system isn’t perfect, but cage-free and especially free-range egg options are better than their factory-farm-sourced alternatives. Composting: Collecting organic waste to use it as fertilizer. In addition to weeds, fallen leaves, and grass clippings, compost can include food scraps, such as rotten produce, fruit rinds and cores, coffee grounds, moldy baked goods, and crushed eggshells. 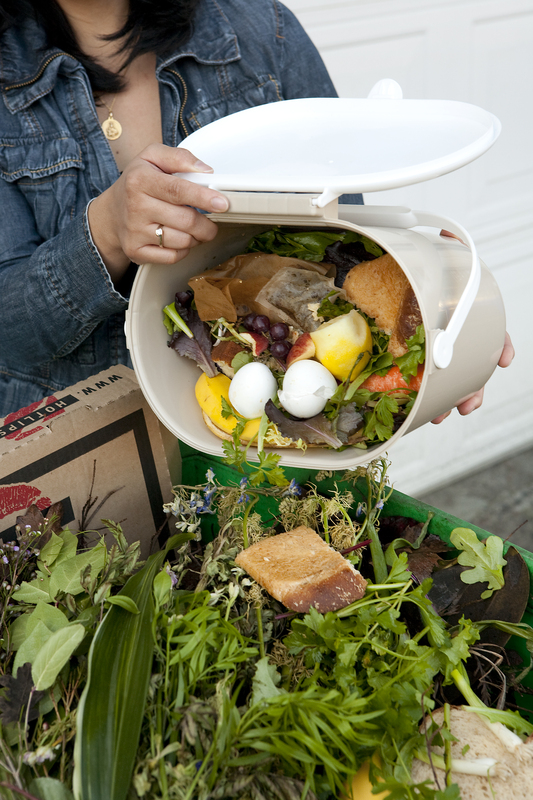 Composting is a great way to utilize inedible or unappetizing food to sustain soil rather than just throwing it out. Moreover, it keeps waste out of landfills, which are literally massive piles of garbage expected to disintegrate over time. Doggy-bag: The English colloquialism when asking to take food home from a restaurant. It differs from ‘takeout’ in that it only applies to leftovers: you wouldn’t go to a Domino’s and order a pizza in a doggy bag. While the phrase implies that the food is going to be fed to a pet instead of eaten later by the diner, doggy-bagging is just an easy way to prevent waste and get your money’s worth out of your meal. Farm to Fork/Table: Another term for the local food movement, which promotes buying food from regional producers because it’s fresher, doesn’t require the same amount of energy to be preserved and transported, and is otherwise generally assumed to be produced sustainably. This assumption comes from the idea that local farmers don’t use GMOs or hormones, keep their animals in factory farm conditions, or raise their crops on pesticides because, unlike national suppliers, they don’t have to produce mass quantities to send across the country. Many people also choose to ‘buy local’ to support their region’s economy. Food Bank: Charitable organizations that collect food to provide it to people struggling with food insecurity (see below) for free. They typically act as middle-men between the restaurants, bakeries, stores, or farms that have donated the food and groups, such as soup kitchens, that then give or serve it to those in need. Donated foods are usually frozen (and then prepared by the soup kitchen) or non-perishable. Food Insecurity: The state of not having reliable access to a steady supply of nutritious food. Food-insecure people aren’t necessarily starving, but the poor quality of food that they can afford can still lead to malnutrition. Food security is a question not just of personal income but of location: lots of low-income or minimally-populated areas don’t offer affordable, fresh produce so much as fast food joints or convenience stores selling heavily-processed packaged foods. A huge ethical paradox plaguing our world is that thousands of tons of edible produce gets thrown out when it could be feeding thousands of people suffering from food insecurity. Fair-Trade: Fairtrade International puts its label on food products to indicate that they have met the organization’s lengthy labor and sustainability standards. The labor regulations are meant to ensure that workers producing the food haven’t been exploited, while the main environmental prerequisite is a pledge to reduce carbon emissions. 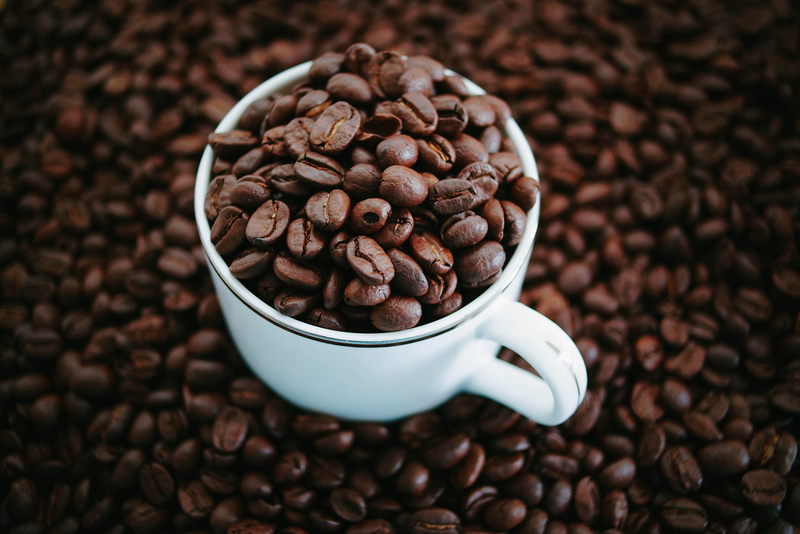 Coffee and chocolate are the two products most commonly associated with fair-trade because their farmers are frequently exploited due to the high global demand and a lack of strong national labor laws. Freegan: Someone who scrounges for edible food in dumpsters, usually behind restaurants or grocery stores, to make a statement about food waste. What differentiates a freegan from a regular dumpster-diver is that the former is primarily motivated by ethics whereas the latter is typically desperate for food due to poverty. Freegans highlight the fact that millions of tons of perfectly good food get thrown out before they even reach consumers due to excessively cautious health standards or the obsession with freshness. GMOs: In terms of food, genetically-modified organisms are products that come from plants or animals whose DNA has been artificially manipulated. The goal of genetic engineering is usually to improve food’s nutritional content, to make the organisms resistant to specific viruses and/or pesticides, or to increase crop yield. There is a lot of controversy surrounding GMO’s, mainly the question of whether they cause long-term health effects due to the fact that the food has been altered unnaturally. Those concerned should look for “non-GMO” or “GMO-free” labels. 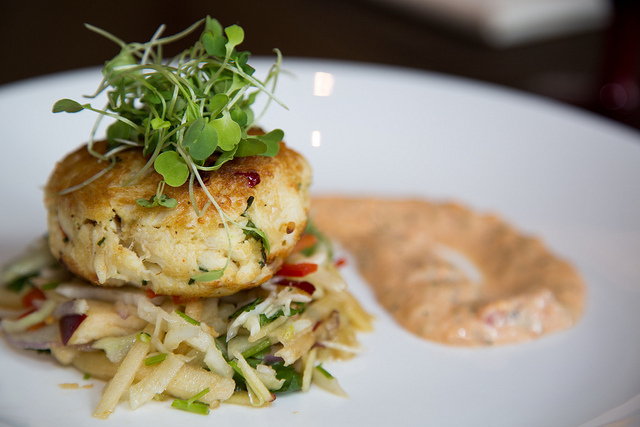 Locavore: Someone who “only” eats locally-sourced food (see ‘farm to table’). Nose to tail: To quote my aforementioned article, “nose-to-tail refers to the practice of eating as much of an animal as possible to minimize waste.” So, in addition to traditional cuts of muscles and fat, animal organs, entrails, and extremities are prepared as food. 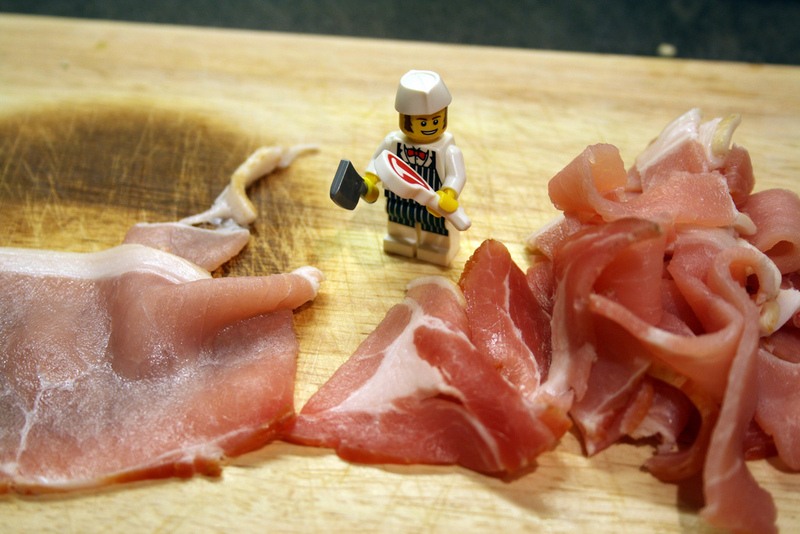 Nose-to-tail can be used to describe the range of food offered by a butcher or chef or willing to be eaten by a consumer. Organic: Officially, organic foods are those that haven’t been subject to any synthetic manipulation. While both are free of artificial flavoring and coloring, preservatives, genetic manipulation, and radiation, foods labeled as organic or natural differ in that the latter don’t tell you anything about the kinds of pesticides, fertilizers, or hormones used. For instance, crops can be considered organically raised if they were fertilized with compost or manure but not with chemicals, whereas natural foods include both. Sustainability: Environmental sustainability refers to engaging in practices that don’t squander the planet’s resources at a rate at which they can’t replenish themselves. When it comes to food, it essentially means raising crops and animals in an environmentally- and ethically-responsible way. Sustainable agriculture includes practices like crop rotation to prevent soil depletion, biological pest control so that chemical insecticides don’t contaminate groundwater, and managing animal manure so that it doesn’t pile up and release excessive greenhouse gases. Since there are no industry-set guidelines to certify food as ‘sustainable,’ consumers can’t check for any labels that confirm a product’s claim to sustainability. Vegan: A person who doesn’t eat any animal products: dairy, meat, seafood, eggs, honey, and most gelatin are all no-no’s. Vegetarians, on the other hand, just don’t eat meat or seafood, while pescatarians do eat fish but not meat. People usually elect these lifestyles based on ecological concerns, animal welfare ethics, and/or religion. Food is a necessity. Since the beginning of time, animals have had a primal instinct to guard their food to ensure that they always have enough to eat. As humans, we ought to share these instincts to covet food as something precious – so why is it that cultures across the world have traditions of deliberately wasting food? Consider La Tomatina, the annual Valencian festival in which citizens and tourists from around the world gather to pelt each other with tomatoes in the city streets. One would think that the event might have originated one year when there was an excessively plentiful harvest, such that the townspeople found themselves with more tomatoes than they could possibly use. Unfortunately, that wasn’t the case. The story of the festival can be traced to 1945, when an angered man began hurling tomatoes from a nearby vegetable vendor at his friends. 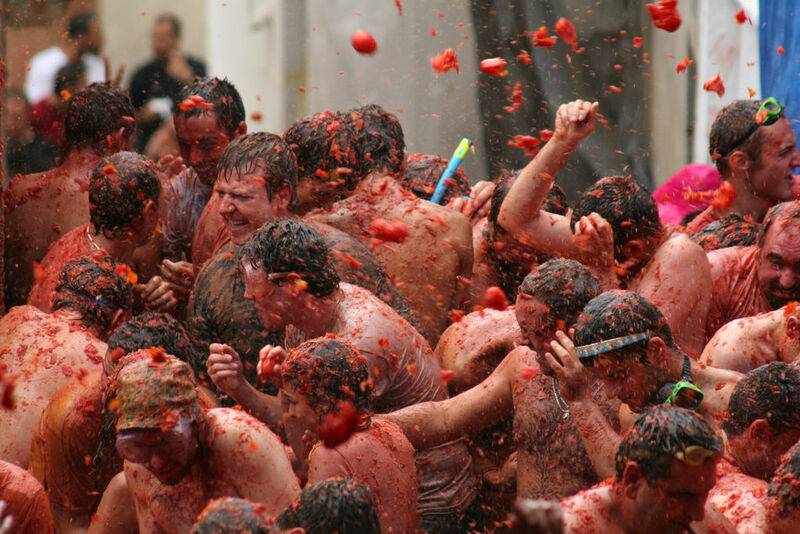 Bystanders quickly took up tomatoes as well, and the messy melee that ensued has since been repeated annually. So, the event is nothing more than a glorified food fight in which participants chuck perfectly edible tomatoes at one another. Literally throwing fresh vegetables is the most blatant example of waste, but there are plenty of other, less obvious customs that misuse food. In western culture, for instance, there are the holiday traditions of carving Jack O’ Lanterns and decorating gingerbread houses. While it is perfectly possible to eat the insides of the pumpkins hollowed out for Halloween decorations, most people just throw them away. In 2014, British newspaper The Independent even published an article about how Britons toss about 18,000 tons of pumpkin around Halloween every year. 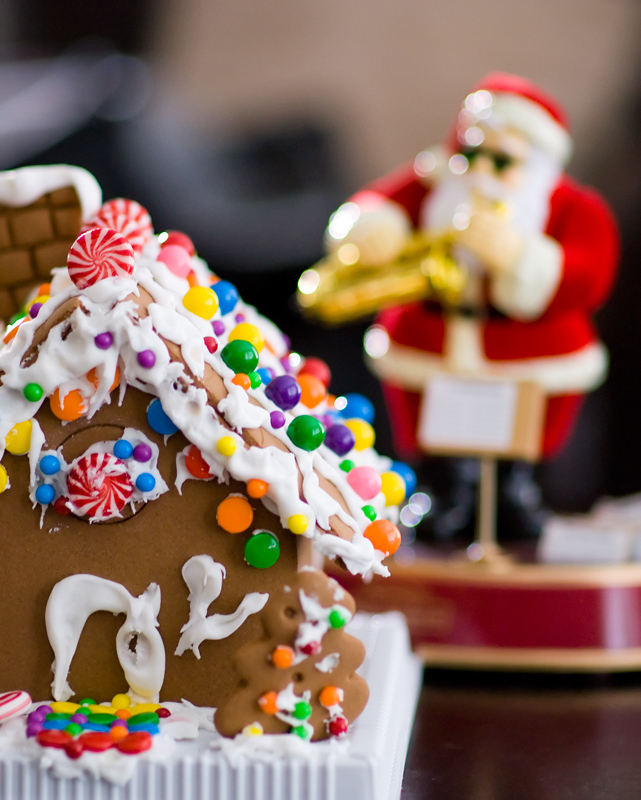 Similarly, gingerbread houses are perfectly edible in theory and probably were meant to serve as cute desserts when they first became popular in 16th-century Germany. However, the bland gingerbread pieces and the colorful icings and adornments sold today are usually so artificially sweet that it’s not only unhealthy but downright repulsive to try to eat the candy constructions. Moreover, they tend to go stale as they sit out as decoration. No, I’m not trying to launch a global initiative to end all food-wasting customs and celebrations. The idealist in me would like to, but the realist knows that people would only consider abandoning these traditions if they were facing a severe food shortage. After all, these practices are defended as ‘culture.’ Still, the least I can do is urge you to keep this in mind as the food-wasting holidays approach. This page offers tips specifically for preparing a former-Jack-O-Lantern for cooking purposes, and you can find plenty of recipe inspiration in this gallery. When December rolls around, construct gingerbread houses that are actually appetizing and find people to share them with. If you aren’t convinced that the concept of wasting food ‘just for fun’ is appalling, at least consider the money you could save by actually eating the food that you buy rather than just decorating with it. As I mentioned in my last post, I’m currently studying in Madrid, Spain! The culture is fascinating, the city is incredible, the people are wonderful, and the food is fantastic. In addition to offering delicious dishes such as paella and croquetas, the country’s food culture hinges on generosity and hospitality, best demonstrated by the customs of menus del día and tapas. 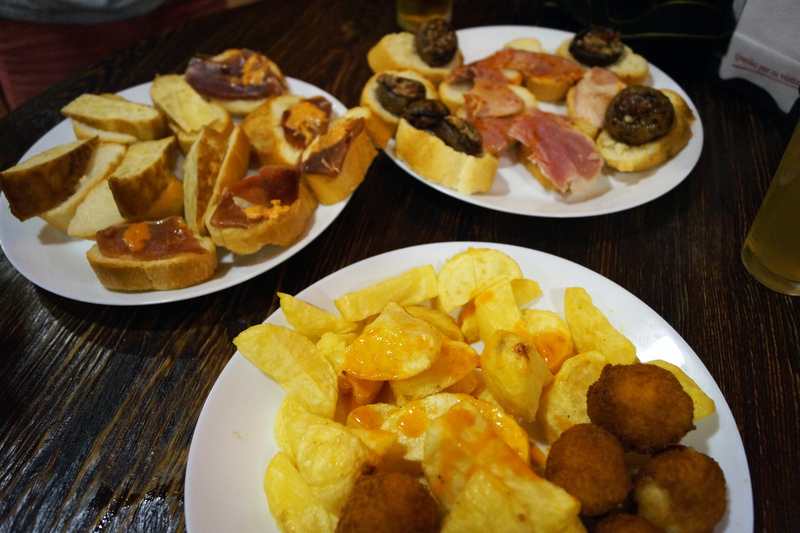 Tapas are so famous that they probably don’t need explaining, but, just to reiterate: they are small plates of finger food that come free with any purchase of wine or beer in most Spanish bars or eateries. The foods can range from simple figs or pitted olives to croquetas (fried dough balls filled with béchamel, cheese, and/or ham) or patatas bravas (potato wedges in spicy sauce). 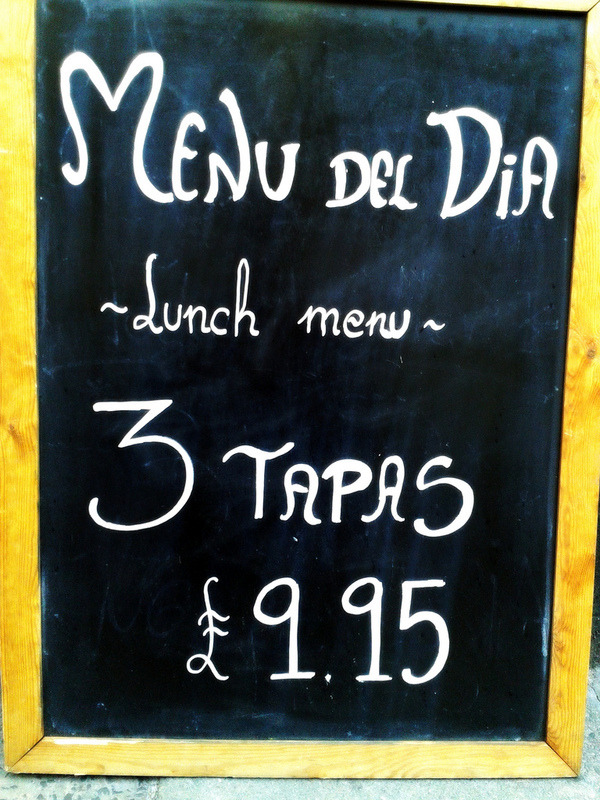 Tapas are available basically any time after breakfast, whereas menus del día are traditionally lunch specials – though many places offer them at dinner, too, to appeal to tourists who are used to larger dinners than lunches. The menu del día (“menu of the day”) is a three course meal for €10-12 consisting of a starter, main course, dessert, and beverage. In addition to choosing the elements of your meal from a short list of options, you will typically receive bread and, if you ordered alcohol, tapas. All in all, Spain makes it easy to find a satisfying meal for a low price. The limited-budget college student side of me loves all of the free food that accompanies minimal purchases, but I cringe internally whenever I see a waiter take a way a platter of unfinished or wholly untouched tapas. You have to approach your meals anticipating to consume more than what you actually order, or else there will be a lot of leftovers. While I was happy to see one family doggy-bagging their dinner remnants on my very first night here, I think that taking tapas or bread home is frowned upon as greedy or desperate since the foods are so small and, technically, free. It’s a shame that there seems to be a cultural hypocrisy in this country that celebrates food as a social instrument but in doing so enables a lot of it to go to waste. Solidarity fridges have emerged in some cities to allow individuals and restaurants alike to make unwanted leftovers available to the public, but unfortunately that tends not to include plate waste, aka food that has been served and partially eaten. While I understand all of the health and hygiene arguments against sharing ‘touched’ food, I can’t help being frustrated by it. I was able to get a little peace of mind from the fact that Spain only wastes 2% of the food it annually produces, according to Eurostat data from 2006. However, the fact that this waste still constitutes over 7,695,000 tonnes of food (44% of which comes from sectors other than households or manufacturing) is disheartening and says something about just how much food Western countries produce. I would also be curious to see data on what percentage of Spain’s annual food waste is solely tapas, but an investigation of that nature seems virtually impossible to administer. As my sister and I were strolling through a food and drink festival in Germany, we started talking about how weird it is that Westerners find it quite normal to eat some animals – pigs, cows, birds, sheep, deer, goats, fish – but not reptiles, insects, or mammals such as dogs or cats. This turned into a conversation about what parts of animals are most commonly eaten and what each of us would be willing to eat. Naturally, I ended up mentioning my support for nose-to-tail eating. 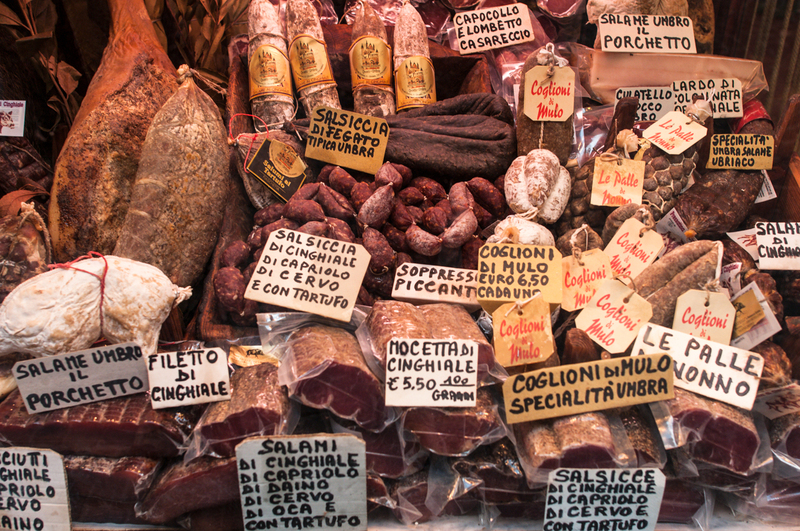 Nose-to-tail refers to the practice of eating as much of an animal as possible to minimize waste. Yes, that includes things like bones, genitalia, and heads. That may repulse some people, but the ethical implications are worth considering. If an animal is already going to die for the sole sake of human consumption, isn’t it only fair to use its body for all its worth, rather than cut out a few slabs and then dump the rest of the carcass? Not only is that a waste of a lot of potential food, but, in my opinion, it is extremely disrespectful to the animal. In my experience, people typically prefer to eat animal flesh and fat over entrails and organs – known as offal in the culinary world – because that is what they have been raised to consider ‘acceptable’ meat. 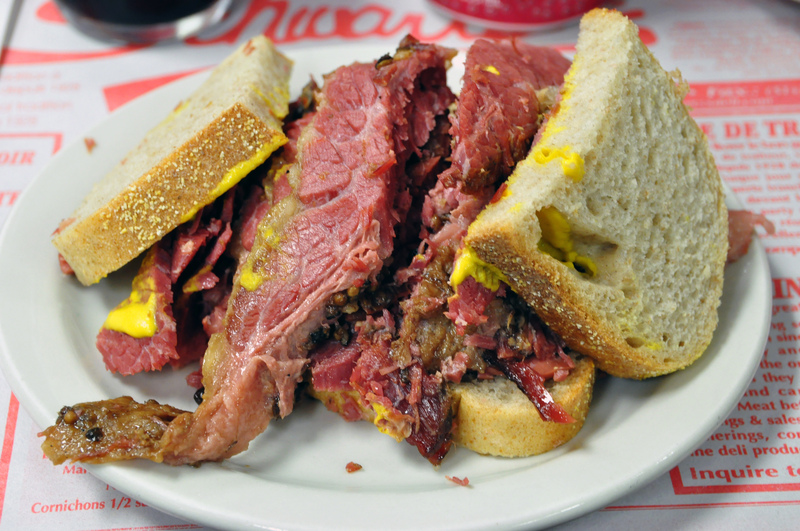 Of course, there are many logical reasons to be squeamish eating certain body parts. Mine is primarily a gastronomic concern: brains, eyeballs, and many other organs just seem like they would be a highly unpleasant texture to eat, regardless of their actual flavor. That might sound heartless, but it’s true. Hygiene can also be a large cause for worry when it comes to eating, say, bladders or kidneys, which have held bodily excretions. However, most people just find it gross or morally wrong to eat a creature’s hearts, brains, or eyes; perhaps because they represent the animal’s soul or the windows thereto. For a subsistence farmer, I think trying to eat nose to tail would be a pretty logical decision solely for the economic reason of making the most of what you have. For the average grocery store shopper, though, it just depends on your personal comfort zone. 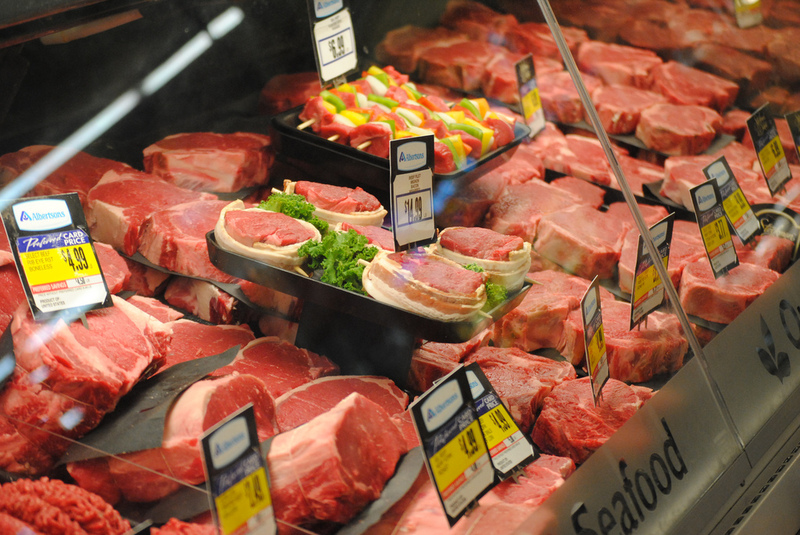 Since we buy individual cuts of meat, not whole animals, we can afford to be selective. Still, as more butchers and chefs embrace the nose-to-tail idea to encourage sustainability, it is worth experimenting a little. After all, fewer animals would have to be killed if people were willing to substitute some traditional cuts of meat in their weekly diets with less-conventional parts. As a starting point for the inexperienced, oxtail, beef cheek, and pig’s ears are probably easier to swallow than, say, haggis, a traditional Scottish entrée that involves stuffing a sheep’s stomach with a mixture of offal, oatmeal, and suet, or Rocky Mountain Oysters, which, despite the name, consist of deep fried cattle or sheep testicles. Due to our society’s obsession with convenience, I doubt that buying a whole or half of an entire animal for food will ever be the norm. It requires a lot of time and culinary know-how to be able to prepare all the different kinds of flesh and offal that a beast has to offer. Still, hopefully the nose-to-tail movement will keep gaining ground and bringing us closer to a point where as little as possible from each animal is wasted. 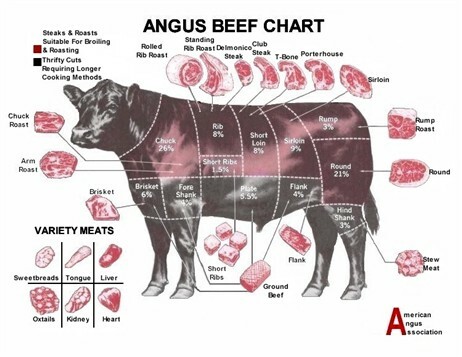 PS: here is an excellent segment on meat and the nose-to-tail movement from National Public Radio’s Kojo Nnamdi Show. Take a look at the appetizers available at your typical American casual restaurant chain, and you will probably find some variety of chicken, breads, cheesy baked dips, stuffed or fried vegetables, mozzarella sticks, quesadillas, nachos, egg rolls, and potstickers,. The first few items may sound ‘All-American,’ and even Tex-Mex food like nachos has been adapted enough to qualify as an American standard – but egg rolls? Although the United States is known as a melting pot of ethnic cultures, it strikes me as a little wrong to have heavily Italian-, Mexican-, and Asian-inspired dishes on the same menu. Rather than being impressed by the variety that the restaurant has to offer, I’m skeptical of the quality of each of these dishes. I would prefer to eat somewhere that specializes in making certain kinds of dishes really well over a place that makes a bunch of mediocre crowd-pleasers. Furthermore, large menus really generate waste. Let’s start with restaurant management. 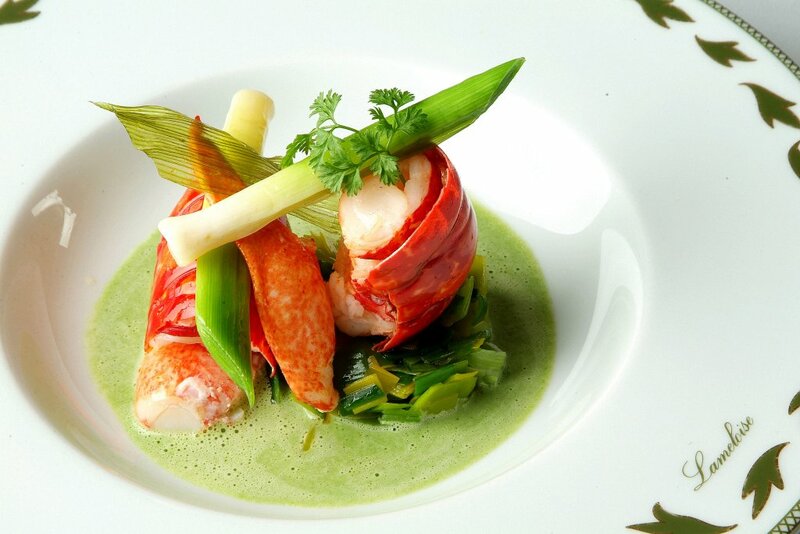 The more expansive a menu is, the more ingredients are needed to make the wide variety of dishes. While most foods can fortunately be found in various cuisines – for instance, pretty much any vegetables used in stir fry can be roasted as a side dish or served in a salad – some specialty ingredients like bean sprouts have a limited range of use. Even if a restaurant takes this into account and makes an effort to only work with versatile ingredients or specialize in a certain cuisine, a huge menu means the kitchen needs to be stocked with a large quantity of fresh foods in order to be ready to prepare anything. In our freshness-paranoid society, that means that a lot of fruits, vegetables, baked goods, and who knows what else gets tossed out at the end of the day to make room for a new ingredients shipment the next morning. Then there’s us, the consumers confronted with a dauntingly long list of food offerings. Unless you have a specific craving or are a very picky eater, chances are that you will have trouble deciding what to order. In addition to being stressful, possibly to the point of causing so-called menu anxiety, the pressure to quickly settle on a meal encourages rash, irrational decision-making. For some people, the bad decision is foregoing their diets because the small salad section has been undermined by long lists of burgers, pastas, and/or other hearty entrees. 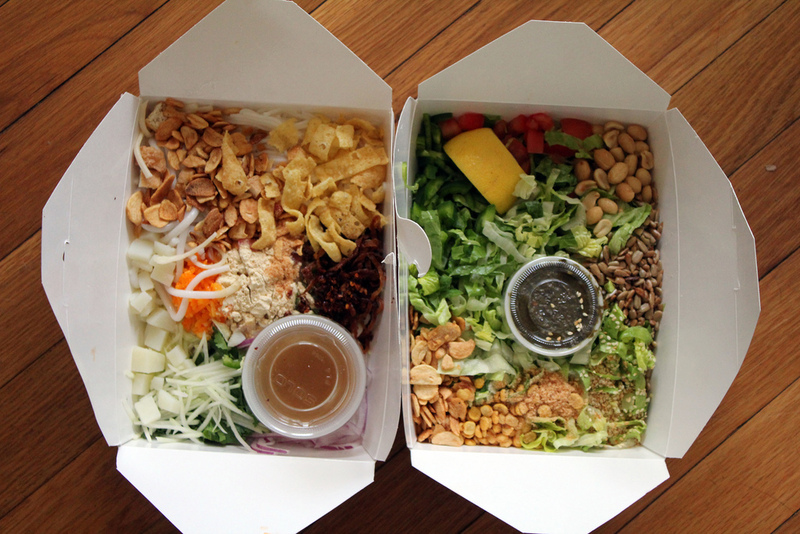 In other cases, though, it means ordering multiple dishes so as to avoid choosing between two enticing options. Splitting or sampling is all well and good if you’re with at least one other person willing to share, but often it just results in several unfinished plates. In over 50% of cases, restaurant leftovers such as these are not taken home by the diner, which usually means they end up in the garbage. Why someone would allow a meal that they found so irresistible go to waste is a rant for another time. As much as I love ordering something different every time I come to a restaurant, many of today’s menus are simply overwhelming. One consequence of being inundated with choices is wastefulness. By sticking to what they know instead of trying to satisfy every taste, restaurants save money on ingredients and prevent needless waste. The overall dining experience is also more pleasant for patrons when they don’t find themselves vacillating between five scrumptious-sounding options. Rather than worrying, “What if that other dish was better?” diners can are more likely to be satisfied by their orders, hopefully happy enough to finish them or take leftovers home. If you find yourself in eating somewhere with a huge menu, take a moment to not look at it and think about what kind of food you’re really in the mood for. Find that section of the menu and try not to let your eyes wander. On the other hand, if you want to peruse everything, just keep in mind a) how much you want to eat, b) whether you can take leftovers home (and will have a chance to eat them), and c) whether you can come back some other time to try something else. Make eating an enjoyable experience, not a stressful one! Reservations: A Food Waste Game-Changer? Needless to say, I am absolutely delighted by Alciati’s innovation. As he describes in the article, restaurants all over the world could cut their waste in half by adopting this approach, which would not only be a huge environmental win but would translate into lower prices for diners. After all, the restaurant wouldn’t have to compensate for buying and making tons of food that gets thrown away at the end of the day. Plus, the food would taste much better day-of than reheated from the freezer (although, admittedly, freezing leftovers is a great waste-fighting technique). However, I also realize how impractical it would be if, indeed, every eating establishment employed this rule. There would be no such thing as convenience or fast food, no last-minute decisions to eat out because you don’t have time to cook. If you were walking around and hunger suddenly struck, you’d be out of luck unless a vending machine or grocery store was nearby. Furthermore, the strategy only works if the restaurant knows what the patrons are going to eat, which would require fixed menus or including food orders in the reservations. Frankly, that degree of planning would take a lot of the fun out of eating. That being said, the ‘reservations only’ tactic is not to be dismissed. Our society is too obsessed with convenience for it to become mainstream, but I think it is completely feasible for other higher-end restaurants to follow Alciati’s lead. The central approach can also be adapted to be slightly more accommodating, such as setting aside a few walk-in tables that incur an additional charge on the diner’s bill. With gourmet food prices already being the way they are, it honestly isn’t that outrageous. PS. 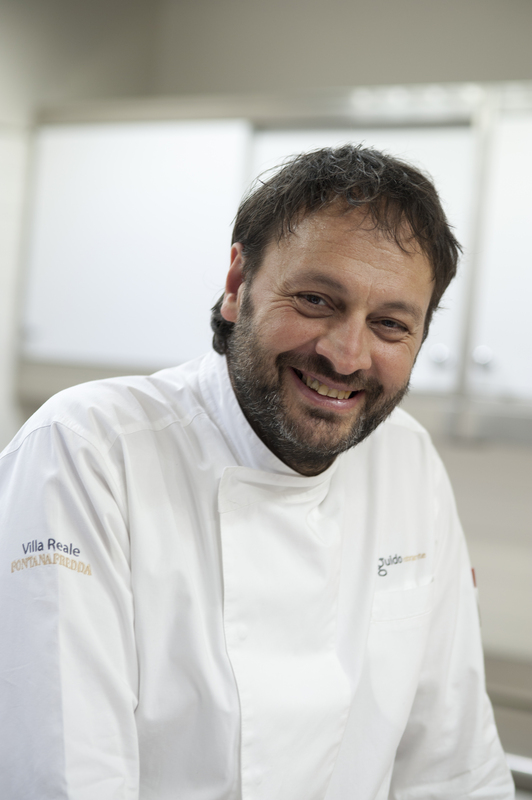 I recommend reading the rest of the (short) interview with Alciati, in which he talks about how much he loves cooking with milk. I got back from college just over a month ago, and, of course, one of the things I was most excited for was my kitchen. Having lived in a dorm room that just had a mini fridge and microwave, in a hall with a communal kitchen down that was almost always filthy, and on an over-generous meal plan that encouraged me to buy meals rather than prepare them myself, I couldn’t wait to cook in a decent kitchen with a full fridge and pantry at my disposal. However, the full fridge and pantry weren’t as idyllic as I had hoped. Fact is, they were simply too full. I knew that, once I went through the contents, I would find several things that had gone stale or lost their flavor, if not seriously gone bad (i.e. grown mold, rotted, etc.). Compared to many, my family is pretty non-wasteful. We love eating leftovers and freeze things for long-term storage, and I’ve never seen something substantial, like a full loaf of bread or a pound of meat, go bad. However, it’s the smaller things that often suffer due to negligence. I immediately found two open tubs of flavored cream cheese that had been untouched since I visited in March and an open box of crackers from 2012 that had gone very stale. Fortunately, the majority of our food was still good, but the sheer quantity of open perishables was still frustrating. Things like two open jars of Alfredo sauce, pesto, and almond butter and a 32-oz. package of sandwich cheese slices (for reference, that’s about the weight of a platter). I encouraged my mom to incorporate the sauces into dinners as soon as possible and breakfasted on almond butter toast for several days until one of the jars had been emptied. However, even though my mom and I both used the cheese to make our workday lunches for about two weeks, I finally had to throw out the last ten slices as they started to grow white fuzz. The simple fact is this: more isn’t always better. This experience – which is sort of ongoing – illustrates two of the biggest sources of food waste: carelessness and overabundance. When I’m home, I act as the food-watchdog, reminding the others of open containers or items approaching expiration if not eating them myself; but no one else seems to pay the same amount of attention when I’m away. Once things are pushed to the back of the fridge, they tend to get forgotten and replaced. It’s a waste of perfectly good food and, obviously, money. Speaking of being economical: don’t let bulk food stores and “two for one” deals fool you! Buying a large quantity of something like pasta for a low price is a good deal, but the same does not apply to perishables. Unless you have a large family of regular ham-and-Swiss sandwich eaters, chances are you won’t finish a giant pack of meat or cheese before some of the slices start going bad. The same logic can be applied to leafy greens and other produce. 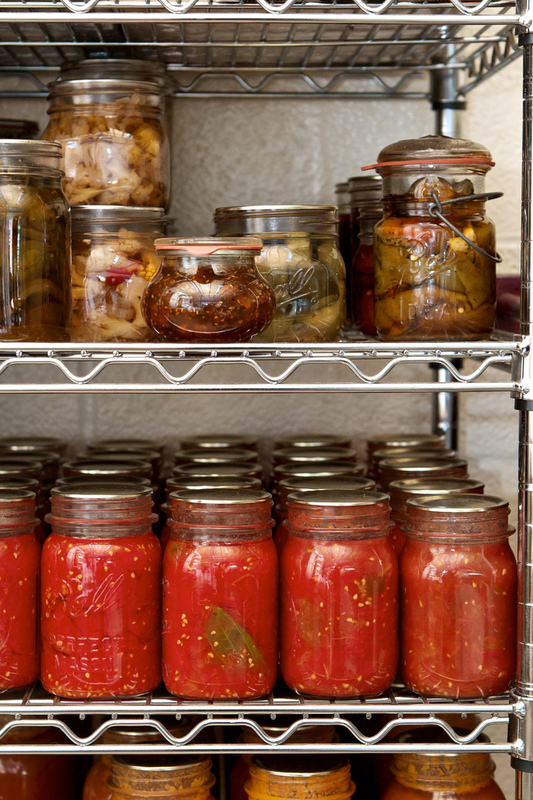 Either have a plan to finish perishables within their shelf-life (here’s a good reference, since the package dates are often unreliable); freeze, pickle, or otherwise preserve them; or buy them in smaller quantities. If you also have trouble keeping track of what food you already have, try keeping an inventory on your fridge door or using bright sticky notes to label containers with the dates that they were opened. My family gets a little frustrated with me when I point out these kinds of things, but I think it’s because they don’t like having to admit their mistakes. Their reaction is reassuring, though, because it shows that they recognize food waste as something shameful. As I’ve said time and time again: some waste is inevitable, but we should all make every effort to avoid it.